UPDATE Feb 4, 2019: One double occupancy room left in this tour...Please contact us by email or call 917-602-1519 to reserve your spots! If you want to receive early exclusive notifications (one week before the rest of our mailing list subscribers) about the tours to Italy we are planning for 2020 and beyond, or if you have questions, please fill out the culinary tours early access form. This unique culinary vacation offers you the opportunity to immerse yourself in the delicious cuisine and idyllic countryside of Tuscany from our own private fifteenth century villa.. 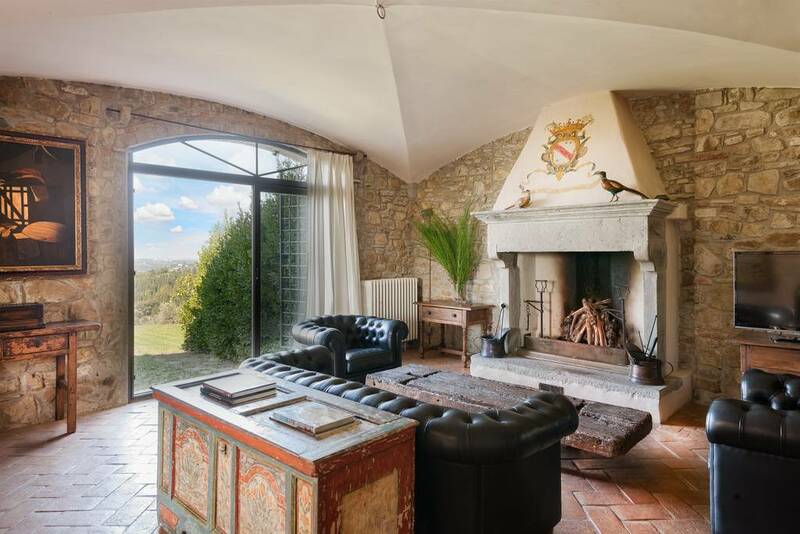 The villa is close to Florence, making it an ideal location for day trips to the Chianti area, medieval towns like Pienza and Montalcino, and other beautiful stops in the Tuscan countryside. 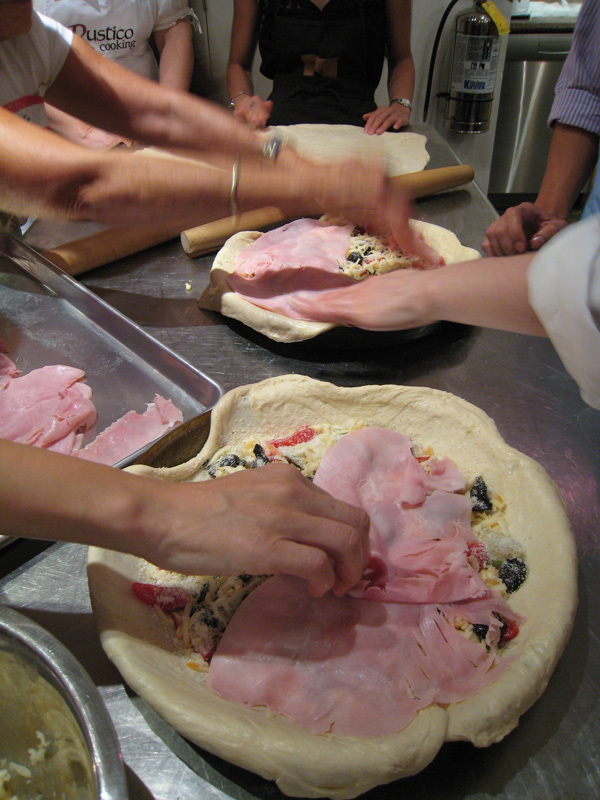 Our mornings will be spent at the villa, cooking authentic Italian specialties together. Weather permitting, we'll lunch al fresco, and perhaps take a swim in our private pool, surrounded by olive trees, before heading out by private bus to explore nearby Tuscan towns. 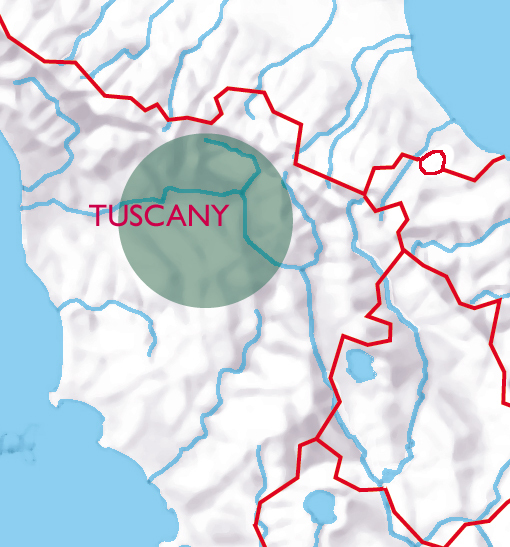 Space is limited on this exclusive tour to the heart of Tuscany, so don't wait too long to reserve! 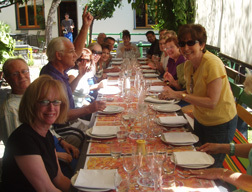 We have had the pleasure of taking many people on cooking tours since 2004. Read their testimonials here. To receive early exclusive notifications about future tours, please click here. Dinners will be in Tuscany's finest restaurants, and all meals will be paired with wine: you'll taste Chianti, Vino Nobile di Montepulciano, Brunello di Montalcino, Sangiovese, Vernaccia di San Gimignano, and more during our week together. We'll enjoy olive oil and wine tastings, visits with local food artisans, including (we are working on it!) a visit to Italy's most award-winning chocolatier. Our hands-on cooking lessons at the villa will be led by tour hosts Micol Negrin and Dino De Angelis, and will touch on every aspect of Italian cuisine: fresh pasta, gnocchi, risotto, braised and roasted meats, succulent vegetables, handmade bread and focaccia, traditional desserts. Our philosophy is that once you arrive at the villa by your own means, everything is included: every meal with wine, transportation to and from the various sites, tastings, and all activities we will be enjoying as a group. The villa is located on the grounds of an estate 35 minutes from Florence by car. 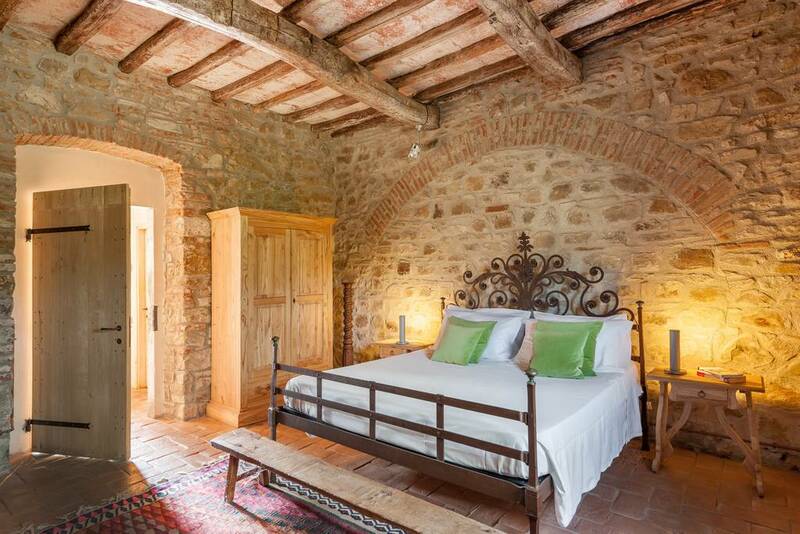 The decor is elegantly rustic, with stone walls and wood beams on ceilings. Our group will occupy a single countryhouse on the estate, ensuring privacy and quiet. The pool is for our group's use exclusively. Cost excludes airfare and ground transportation for your arrival at the villa on the first day of the tour, and transportation from the villa to your next destination at the end of the tour. We are happy to suggest a car service that can arrange for pick up and drop off as requested. We strongly encourage trip insurance. A deposit of $1,000 per person is required to reserve. Final payment is due on February 26, 2019. Deposits and final payments are non-refundable. This will be an unforgettable week! Our culinary vacation will begin on Monday May 27 at 4 pm at the villa. The majority of people who take tours with us spend a couple of days in their city of arrival in Italy - whether Rome, Milan, Florence, Venice or other - and then join us when the tour starts. This is a good way to plan your trip, since it will give you a day or two to beat the jet lag (depending on what time zone you are coming from). Some folks will be driving, others flying in to nearby airports, others taking the train. Florence is the closest major city, train station, and airport. We can help you get to and from the villa by suggesting a car service that will pick you up or drop you off from your hotel in your city of arrival, or from a train station or nearby airport of your choice. Check in is at 4 pm on May 27, and after you settle into your private room, we'll start off with a welcome reception: a little wine, some finger foods to nibble on, and the opportunity to meet your fellow travelers; this will be followed by a relaxing dinner at the villa. The next morning, we'll enjoy our first hands-on cooking lesson in the villa's kitchen, followed by lunch, an afternoon of sightseeing and culinary discovery, and dinner in a nearby town. Since we'll be exploring small medieval towns, there will be some walking involved, including some stairs or moderate hills; we suggest comfortable walking shoes. 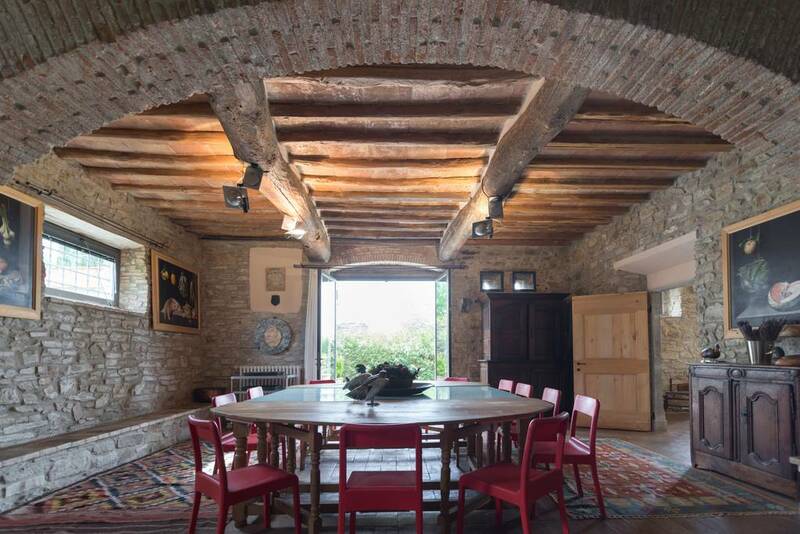 The Villa is located in a small municipality near Florence. The setting is classically Tuscan: cypress trees, olive groves, and undulating hills unfold below, and you can even see the domes of Florence on a clear day. The Villa was once part of the Medici family's holdings; set in 70 hectares of wooded land, it produces its own olive oil and has its own fourteenth-century chapel. As mentioned, we can help you get to and from the villa by suggesting a car service that will pick you up or drop you off at a nearby airport, train station, or hotel. From Milan to Florence: 1 h 39 min. From Rome to Florence: 1 h 31 min. From Venice to Florence: 2 h 5 min. (keep in mind that the Florence train station is 30 minutes away from the villa by car). Please note that due to the nature of the hands-on cooking classes (intended to provide a breadth of knowledge and perfect a wide range of skills), as well as the group nature of the regional dinners we will be experiencing at local restaurants, there will be no way to accommodate gluten-free, vegan, or dairy-free requirements. We ask that all tour participants complete a waiver and release form as well as a medical form for their own safety. Any medical information shared will be kept absolutely confidential and will be used only to facilitate communication with medical personnel in the case of an unforeseen medical emergency while in Italy; please rest assured that this is the ONLY purpose of the medical form. All paperwork will need to be completed and returned with final payment by February 26, 2019 at the latest to secure your spot(s). A deposit of $1,000 per person is required to reserve, payable by check. There is an option to pay by credit card (a service charge of 3% applies for this option), see button below. Final payment is due on February 26, 2019. Deposits and final payments are non-refundable. Price is subject to change as a result of international currency fluctuations that may affect the cost of air/land/sea transportation, hotels, or other related services. Refunds: In the event that we must cancel a trip, you will be given a full refund of all deposits and payments. We do not give refunds of deposits or final payments for tours that commence as scheduled, including for unused portions of the tour. We do give credit for cancellations as noted below. 100% credit for future tours given with 90 days notice. 60% credit for future tours given with notice of 60 to 89 days. 30% credit for future tours given with notice of 30 to 59 days. No credit given for cancellation less than 30 days prior to start date of the tour. No credit for the reservation deposit. All cancellation credits are good for two years from the start date of the originally scheduled tour. We will be running more tours to Italy in 2020 and beyond; if you want to receive early exclusive notifications (one week before the rest of our mailing list subscribers) about the tours to Italy we are planning for 2020 and beyond, or if you have questions, please fill out the culinary tours early access form. You can also email us at micol@rusticocooking.com if you have any questions.